There’s something about a skull. The empty eye-sockets stare. The exposed teeth grin. The bare bone glows ghostly white. From the graveyard scene in Hamlet – “Alas poor Yorick!” – to the flapping flag atop a pirate ship, skulls are one of the most powerful symbols in the world. They have a very stark and simple message: Death! And any human being above a certain age can read that message. But if one skull is powerful, what about hundreds? A single skull means only that a single person has passed away. It doesn’t say how or why, whether naturally in old age or violently by murder. When many skulls are gathered in the same place, things are very different. That doesn’t happened naturally, because skulls should come with skeletons. A collection of skulls is a deliberate act with a dark message. That’s why a recent archaeological discovery has made headlines around the world. An excavation in Mexico City has uncovered a grisly relic from the time of the Aztecs, the advanced but bloodthirsty civilization that ruled Mexico before they were toppled by the Spanish conquistadors under Hernán Cortés. The relic is not just a collection of skulls, but a whole tower meant to be seen and strike fear far away. There are hundreds of them bound together with lime. More disturbingly still, they include the skulls of women and children. That is something new to archaeologists, who previously thought that the Aztecs and other Central American civilizations sacrificed only young male warriors captured in war. Their severed skulls were then set in tzompantli, or “skull-racks”, to decorate the temples of gods like Huitzilopochtli, the Aztec god of both the sun and of war. He was also the god of human sacrifice. It’s now apparent that sacrifices to Huitzilopochtli didn’t discriminate against women and children. Their skulls too were decorated Aztec temples too and grinned down from the Huey Tzompantli, or “Great Skull-Rack”, a vast array of skulls that was described by Andrés de Tapia, one of the Spanish soldiers who fought for Cortés. The newly discovered tower forms part of the Huey Tzompantli and was surely seen by Andrés de Tapia before he wrote his description of the great Aztec capital. Why did he not mention that women’s and children’s skulls were part of the structure? Children’s skulls are obvious: they’re much smaller than those of adults. Women’s skulls are smaller and more delicate than those of men. But Andrés de Tapia didn’t say anything. Perhaps he was overwhelmed at the sight of the Huey Tzompantli and too sickened or preoccupied with his duties to take a more careful look. After all, he was part of an army and the Aztec empire was not yet fully defeated when he entered Mexico City. His descriptions of Aztec culture and religion have come down through the centuries, confirming this vanished civilization both as a great one and as a cruel one. The Aztecs were able to build giant temples and pyramids, but atop those pyramids they sacrificed thousands of victims, cutting out their still beating hearts as sacrifices to the sun. And the Aztecs waged war not just to conquer new lands and carry off valuable booty, but to capture prisoners for these ritual sacrifices. 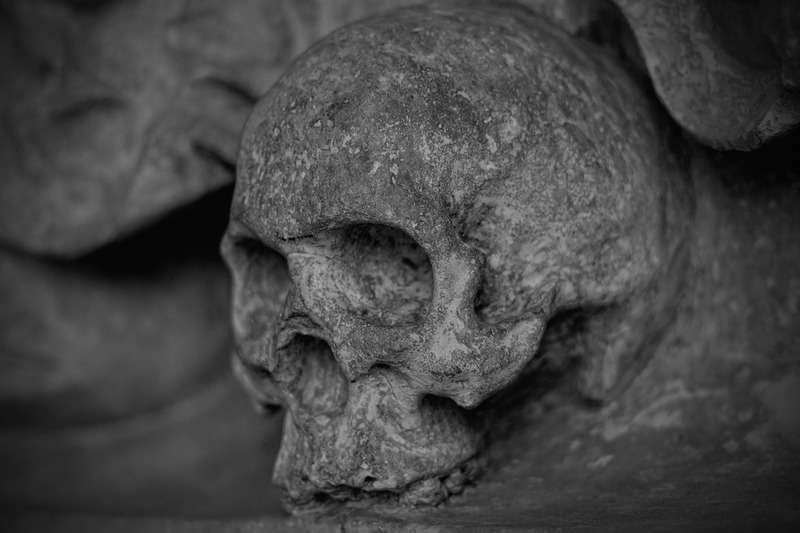 With the new discovery of hundreds of skulls beneath Mexico City, we now know that those sacrifices were even crueller than previously supposed. There was a true tower of terror there in Aztec times, loudly proclaiming that Huitzilopochtli was greedy for the lives not just of warriors, but of women and children too.